Pastor Paul Bunkowske – 2/23/40 – 2/25/18 R+I+P | "Northern Crossings"
We began this blog several years ago to keep track of the partnerships, the crossing of paths and the connections we have up here in the North Dakota District and the Minnesota North District of the Lutheran Church Missouri Synod. I’ve always been intrigued as to how many of our pastors served in both districts over the years. Call Bunkowske was one of the first men I met when I came into the district in 1978. He was one of the quiet steady ones that was always there, He was at every conference, he was not wanting to put himself forward, he was a quiet man who would offer advice when asked but basically just a steading presence who exhibited a kind of wisdom about the pastoral ministry. The only quotable quote I can remember from Pastor Bunkowske is going to sound like a slam or a put down but it really wasn’t. One of the young up-and-coming was a pastor who recently came to North Dakota and he was pontificating upon some subject and I believe was trying to pass some kind of a resolution. The young man asked the question of the body, “is there anyone who has some suggestions?” To which Pastor Bunkowsk replied “yes maybe we should just take some time and listen not only to the people in this room but to the laypeople out there in the pews.” That doesn’t seem too profound until you understand where he was coming from. 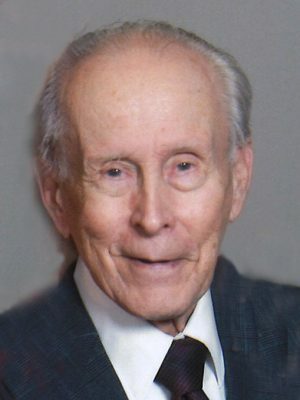 He was a pastor who had in his heart the questions, concerns, and needs of the person in the pew who paid the bills and gave the mission dollars to enable the Gospel to be spread around the world who never had a chance to participate in the District convention, the Circuit Forum, or any kind of deliberative act where by they could express themselves. It was Pastor’s like him who brought their questions and their concerns and prayerfully hoped that others would listen to them. He was a very quiet. Man. I had the privilege of hearing him preach once. He was deliberate and powerful it his exposition of Christ crucified and God’s love for sinners. He became ordained into the Lutheran Church Missouri Synod after graduating from Concordia Seminary in Springfield, IL. His first call was to Redeemer Lutheran Church in Lisbon, ND, where he served from 1964-1968. He then served at Mt. Calvary in Huron, SD, from 1968-1973, Zion Lutheran in Edgeley, ND from 1973-1989, Redeemer Lutheran in Menahga and Christ Lutheran in Wolf Lake, MN from 1989-1996. He is survived by his wife of 55 years, Ruth; children, Lorrie (Kevin) Grunewald of Fergus Falls, MN; Timothy Bunkowske of West Fargo, ND; Heidi Bowen of Kennebeq, SD; son-in-law, Wade (Jill) Swenson of West Fargo, ND; brother, Eugene (Bernice) Bunkowske of St. Paul, MN; grandchildren, Abbey, Shelby, and Zachary Grunewald; Maggie, Grace, and Ben Swenson; Lindsey Bunkowske, and step-grandchildren, Jordan and Jenna Machart; Ruben and Esmee Bowen and Lyle Halvorson. There will be a visitation from 5-7:00 PM with a prayer service following at 7:00 PM on Friday, March 2, 2018 at Boulger Funeral Home, Fargo. The memorial service will be at 1:00 PM on Saturday, March 3, 2018 at Beautiful Savior Lutheran Church, Fargo with a visitation one hour prior. Zika Virus and other pesky issues……………..
One cannot as a result of suffering, swallow his or her own cough.